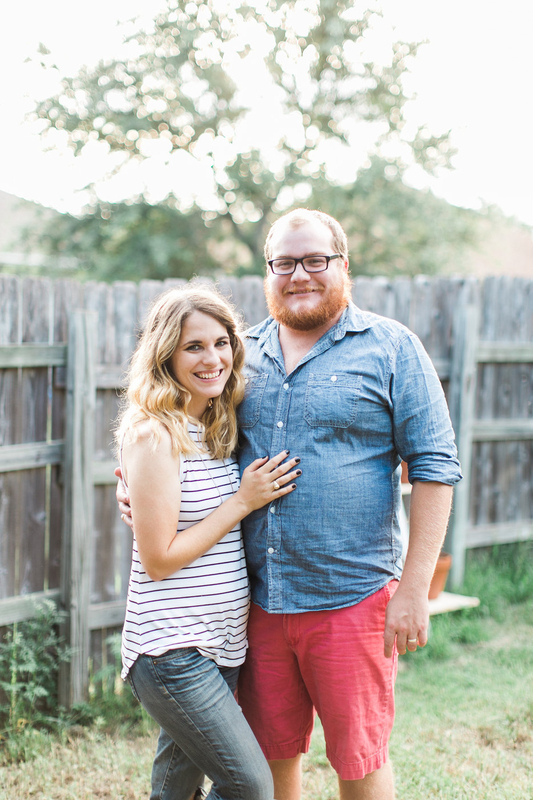 2018 Update: Hi, friends! 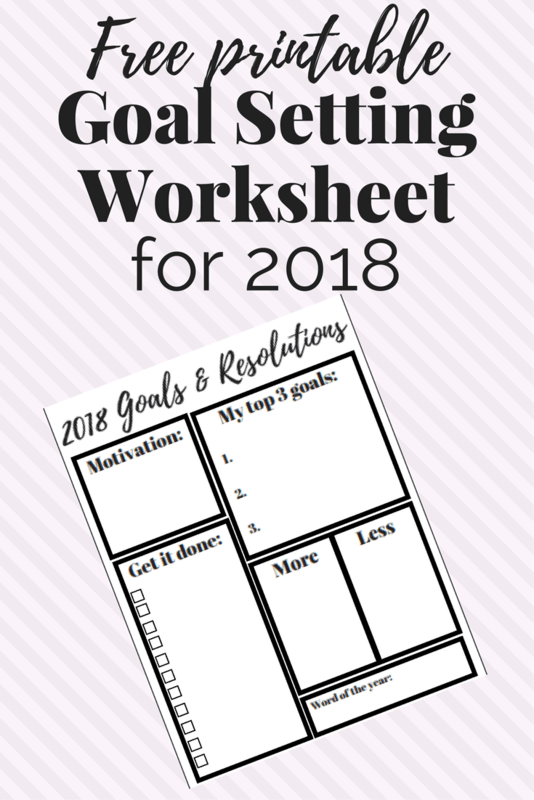 This post was written in 2017, but I’ve updated the printable for 2018 if you’d like to use it again. You can get the updated printable by signing up for my email newsletter on the form below! It’s that time of year again. You know, the time where everyone sets resolutions that they’re bound to abandon by January 10th, when everyone swears next year will be different, and when we all feel a little bit of hope that this coming year will be the one that changes everything. Normally I avoid official resolutions like the plague. Last year I set out some general guidelines for how I wanted to live my life in 2016, and in years past I have made glorified to-do lists. I’ve always done an okay job at first of keeping up with them but, like everyone else, I generally forget about them midway through the year and don’t give them another thought until it’s time to plan for the next year. I’ve got big plans for 2017, and I’m not going to let anything hold me back. I’ve been doing a lot of planning, thinking, and reflecting, and I’m feeling pretty confident that this will be my year. I feel a little nervous even putting this out there, but as you’ll see below I’m all about being fearless this year so I’m running with it. This has always been a great place for me to spill my heart and I consider y’all my invisible internet BFFs, so imagine that we’re sitting on the couch with a fire going, and we’ve got some hot chocolate and cookies, and we’re dishing about our goals for the year. Because that’s exactly what I’m imagining as I write this to you! As I’ve started to work more on growing my business I’ve worked really hard on setting (and sticking to) goals, and I’ve learned a lot about how my brain works and the conditions in which I thrive. I need a lot of motivation, I need visuals to keep me going, and I need to have a clear direction for myself. So, instead of just making a plain ol’ list of things that I want to do this year, I decided to make a goal sheet for myself. I’m going to hang it on the bulletin boards in my office nook so that I can look at it every single day and be reminded of what I’m working towards. A motivational quote for the year. Maybe it’s cheesy, but quotes like this speak to my soul and keep me going like nothing else. I’ve been repeating this one to myself a lot lately, and so it’s going to be my motto this year. My top 3 goals for the year. It’s tempting to have a laundry list of resolutions and big things you want to change in your life, but it’s just not realistic. I’ve learned I’m much more efficient when I have no more than 3-5 “big” goals for myself at any one time. It’s much less overwhelming, and I’m able to focus on what really matters. These are big goals but I’m feeling good about my chances of making them happen. A more/less list. 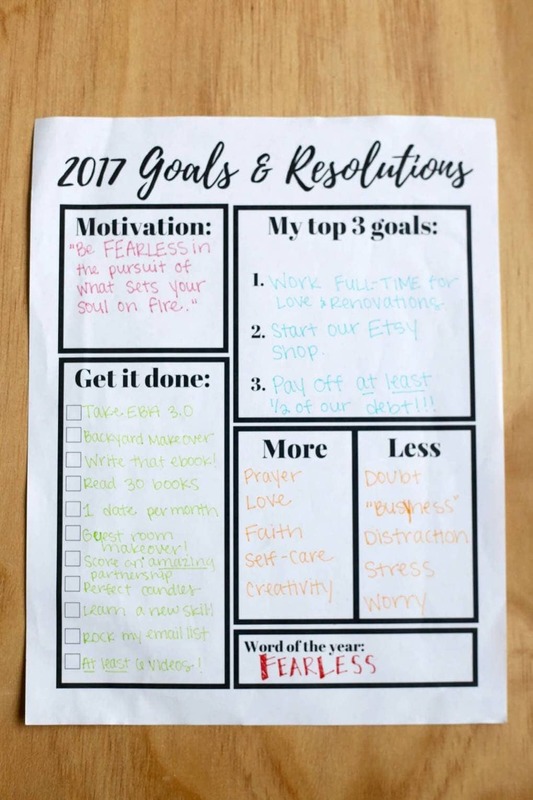 I did this last year and really liked the idea – I wrote out a few things I want to have more of in my life this year, along with some things I want less of. This is much less actionable than the other sections and is a bit abstract, but it really helps me shift my mindset and remember that I have control over these things. I get to choose the course of my days, and if I choose to let go of the doubt, busyness, and distractions I’ll find that they appear less and less in my life. It’s a simple formula, but it takes practice! And my favorite part, the word of the year. This concept has really worked wonders for me in the last few years, and I’m excited to make it a more “official” part of my goals for the year. I started doing this about 2 years ago just on a whim – in 2015 I decided my word was “contentment”. I focused the entire year on being content with what I had, not stressing about things I didn’t have, and enjoying the day-t0-day. It was life-changing. Just that one little shift helped me change my attitude in so many different areas, and that was the year I tried a capsule wardrobe, read Hands Free Mama, and spent a lot of time focused on making my marriage stronger. 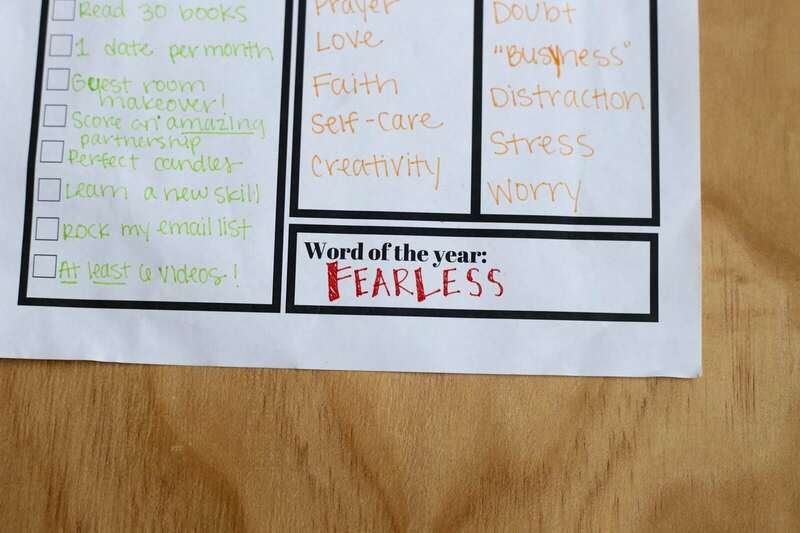 This is such a powerful concept for me, so I’m pretty pumped about my word for 2017 – fearless. I recently had someone very dear to me tell me that I have the heart of a lion but that I often forget it – and that when I do, it’s noticeable throughout my entire demeanor. It hit me hard because it’s so true. I often question myself, I don’t believe I’m strong enough to do things, and I feel like I’m not as good, talented, or whatever as everyone else out there. But this year? No more. My focus all year long will be on believing in myself, taking giant leaps of faith, and being completely fearless when it comes to pursuing my dreams! Whew. Are you feeling as pumped as I am? I know it’s a little cheesy, but these sorts of things do so much to keep me going throughout the year, and I find that I accomplish way more when I’ve got a clear outline and a plan to keep me focused. And, of course, keeping all of my friends in the loop about my goals is a great way to hold myself accountable for making it happen. Y’all won’t let me forget about these, will you?! 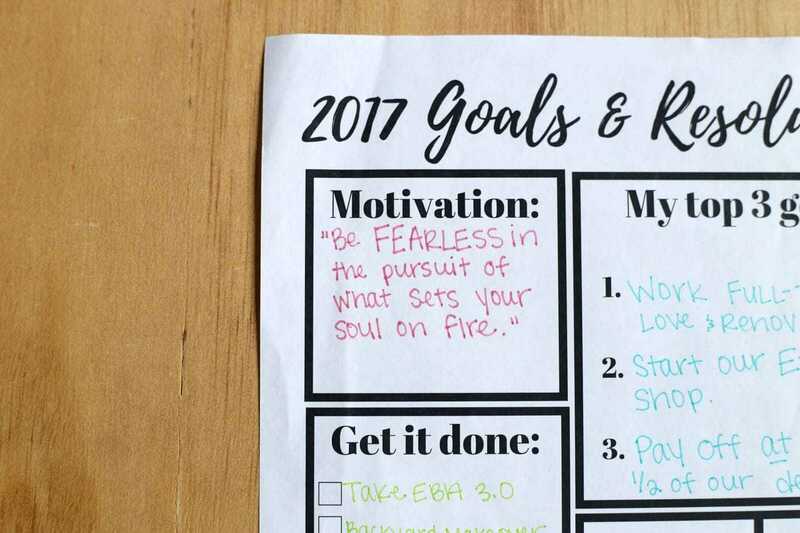 I have a blank version of this little template if you want to make your own goals for the year! If you decide to do it, I’d love it if you shared a photo of yours with me – we can hold each other accountable! You can email it to me, or even tag me on Instagram or Facebook. Can’t wait to see what you guys are working on for 2017! 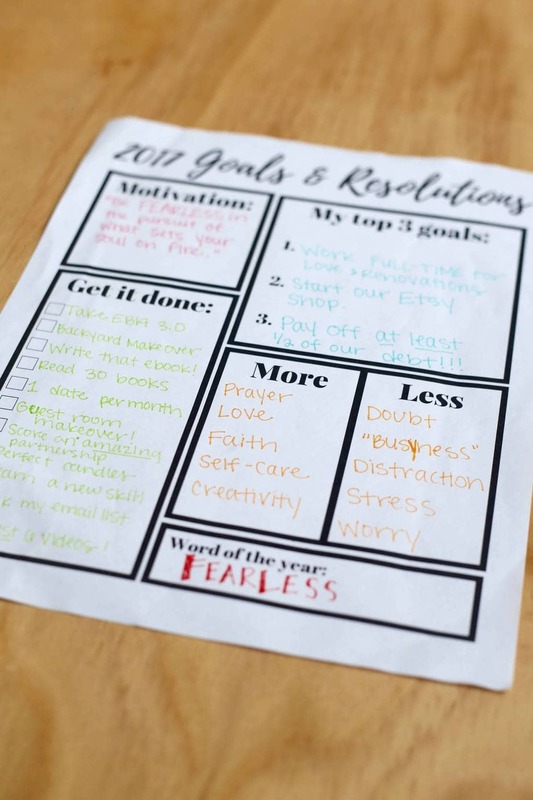 Do you set goals and resolutions each year? Are you as motivated by quotes and cheesy visuals as I am?! Love the printable! Filled it out and it is hanging up in my office! THANKS! Resolutions have always been hard for me, too. I tend not to take them very seriously. I tried the one word a few times, but I’m with you – I like quotes, cheesy as they may be. I can frame them and keep them around my house, add them to my planner or my phone so I am constantly reminded of the mantras that keep me going. 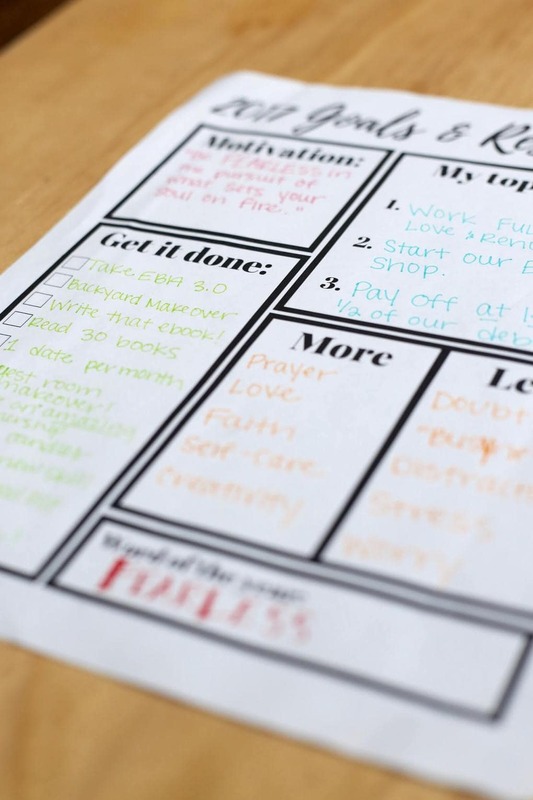 I think I’ll give your printable a shot; I ADORE your less/more section – this is such a beautiful way to stay focused on what really matters in life. Happy New Year, Amanda! I hope 2017 brings you all these things and more!